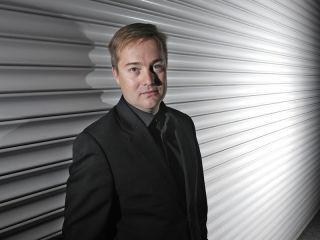 Web entrepreneur and CEO of Mahalo, Jason Calacanis, has released some interesting details about Apple's tablet computer via Twitter, possibly scuppering some of Steve Jobs' surprises for the official launch in San Francisco at 6pm GMT this evening. Calacanis said on his Twitter account, that he has had an Apple tablet for ten days already and that: "For background: apple asked me to do press tomorrow on cnbc, cnn, etc." Of course, it should be made clear that these are just the opinions of Calacanis, who might just be having a little joke with Apple's legions of fans. In terms of features, Calacanis notes that the tablet has an OLED screen; a solar pad for recharging on the back (the device is mainly battery-powered); is running on an iPhone OS variation; can run multiple apps at the same time; has thumb pads on each side (for mouse gestures) and has fingerprint verification (up to 5 profiles can be registered on one device). It's "the most amazing device ever"
It's "really amazing for newspapers"
Video conferencing is "super stable"
The customised Farmville app (which Jobs is going to demo tomorrow with the CEO of the company behind it) is "insane"